Meaco 20L Low Energy Dehumidifier Review Save Running Costs! Winner of 2015 Which? Awards!! 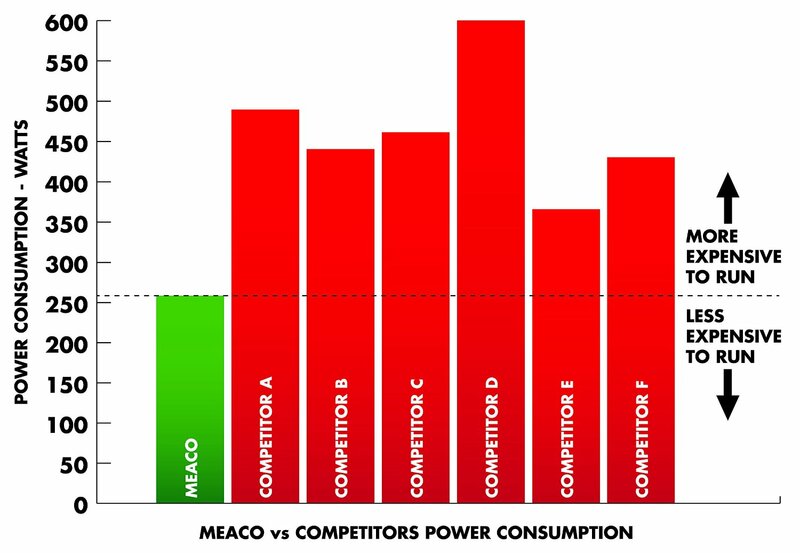 Meaco make superb dehumidifiers and it was no surprise that the Meaco 20L Low Energy Dehumidifier won 2 Which? awards in the summer of 2014. The advantage that Meaco has over brands like De’Longhi and Dimplex is that Meaco focuses only on dehumidifiers whereas the others provide a very broad range of products from heaters to extraction fans and more. I personally own a Meaco DD8L Desiccant Dehumidifier and I am very impressed with the unit as it does everything I want and more! Having recently reviewed an Ecor Pro dehumidifier which is suitable for swimming pools and other commercial activity I was on the hunt for a dehumidifier that is suitable for large domestic work or small commercial work. Enter the Meaco 20L Low Energy Dehumidifer. The Meaco Low Energy 20L Dehumidifier is part of the exclusive Meaco Platinum range. We will start this review with a bullet point summary of features and specifications. This will be followed by a price comparison and an extensive written review. The Meaco 20L Low Energy dehumidifier has an extraction rate of 20 litres. No doubt this extraction rate was tested at a high temperature and high relative humidity so actual extraction rates will likely be a bit lower. There is an option to select a HEPA filter when purchasing the Meaco 20L . A HEPA filter is an anti-bacterial filter which causes a cleaner, healthier air due to absorption of spores and dust mites etc. The front-loaded water tank measures 6 litres which is very large for a domestic dehumidifier. At least you won’t have to empty the tank as often as a 2 litre tank which is the typical standard domestic size. There is also a continuous drainage option whereby the tank empties via a hose that can be connected to the tank. Note that no drainage hose comes with the unit as Meaco says that the majority of customers don’t need a hose and it’s just one more thing that ends up in landfill. Should you need a hose then a british garden hose will do the job just fine. The main feature of the Meaco 20L Low Energy dehumidifier is that the unit only uses 255w of energy per hour. This could make the Meaco 20L one of the cheapest dehumidifiers to run for its size. When the relative humidity (RH) level is 3% below the set RH the dehumidifier will automatically switch over into fan only mode for 10 minutes. If the RH does not fluctuate the dehumidifier will go to sleep for 30 minutes after which it will wake up and sample the air for two minutes. If the RH has risen over the set level by 3% or more than the Meaco 20L will turn itself back on for another 30 minutes. If the RH is still within the set range then the dehumidifier will sleep for another 30 minutes. This feature combined with the low running power make the Meaco 20L a great unit to keep the energy bills down! The touch pad control panel is clean and nicely laid out. There are two rows of controls/indicators with the top row being lights and indicators. Working from left to right on the top row you have the high and low fan speed indicators next to each other. To the right of the fan speed indicators is the timer light. In the centre is the digital relative humidity LED screen which shows you the actual RH. This is a great feature and one that many dehumidifiers lack. The screen also doubles as a timer display. To the right of the screen is the louvre light, followed by the water bucket full light and the dehumidification/defrost light. The bottom row is where all the controls are so working from left to right you have the fan speed button followed by the timer button. Then you have two buttons to change the RH setting either up or down followed by the louvre ‘on’/’off’ button. The RH settings range from 30% up to 80% and can be moved in 5% increments. The last button is the ‘on’/’off’ switch for the dehumidifier. All in all a quick look at the instruction manual will set you straight very quickly. If you want to dry laundry indoors then the Meaco 20L will allow you to do so safely. In Laundry mode the unit runs at full power driving the RH down to a very dry 30% (the lowest setting on the unit). The Meaco 20L Low Energy dehumidifier also features a swinging louvre which you can aim at clothes (or freshly painted walls etc) so that the air generated, which will be 2°C warmer than the surrounding air, by the unit blows over the clothes. The unit also features a 24 hour timer which is great as the water tank is 6 litres and may take a while to fill up. As with all dehumidifiers this unit turns itself off when the water tank is full so there’s no risk of overflow when you are away. Due to their parts compressor dehumidifiers are generally a little bit louder than desiccant models. The Meaco 20L operates at 46dBA in its lower operating mode. This is generally in-line with other compressor dehumidifiers however selected models can operate a little more quietly however they don’t have the great features that the Meaco 20L does. The unit comes with a standard warranty of 2 years. During the first year of ownership however you can extend the warranty up to 5 years. We really like the Meaco 20L Low Energy Dehumidifier and so do others! 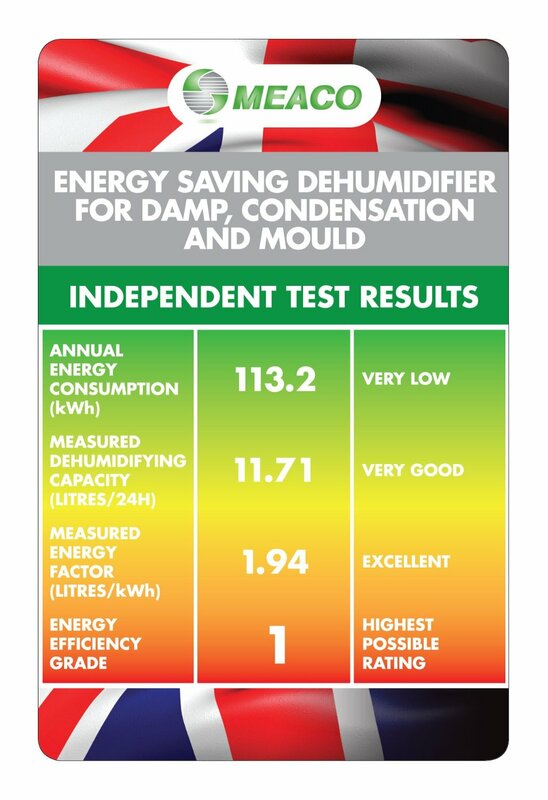 Did you find this Meaco dehumidifier review beneficial? Please leave a comment below if you have any questions.